My son, 12, has been learning some basic composition and other photography skills at his middle school. The instructors use iPads to remove the technical aspects of photography from the student to allow them to place their attention on composition. He’s learned about the rule of thirds, and other composition tips. He asked me one day if he could maybe sort of, kind of, perhaps, get a DSLR for himself. He wanted to take ‘good photos’, especially of his friends scootering and skateboarding. It must be a Nikon DSLR, so I can share my lenses with my son. It must be less than $150 for the body, and no more than $200 with some kit lens. It didn’t really matter what the pixel count was, as that wasn’t all that important. I knew 6 megapixel on up would suffice. I was thinking anything from a D40x to a D80 would do the job. 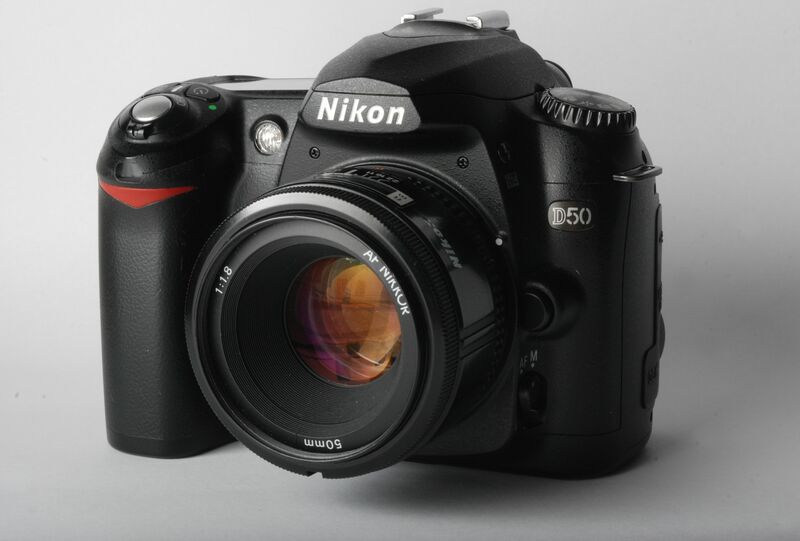 A week or so later, Camera Traders posted a tweet about a great condition Nikon D50 body for $85. Sounded good to me! So, I made a deal, trading in a camera bag I wouldn’t use. For now, my son is using my lenses – either the kit lens that came with my D600, the 24-85mm f3.5/4.5 zoom, or my prime 50mm f1.8 AF-D lens. I’ll keep my eyes peeled for a DX crop-sensor zoom lens that can range from wide angle to short telephoto. That ought to do it for now for him, as I want it to be less about equipment and more about shooting and having fun. One snag. The body didn’t come with a memory card. I assumed I could use the SD card that was in my now dead Panasonic snapshot camera, but it would not read the card. After some Google searching, I realized that SDHC or High Capacity cards were too new for this camera to be compatible. So, off to the local shop to grab a 2Gb SD card, sans “HC”. Works perfectly and is good for about 270 shots… good enough! These are my son’s first shots. We went out and around downtown Victoria for a family day. The shot I liked best was his picture of the Janion building, an old relic of a building that sat empty for decades before being purchased recently to be turned into a new condo complex right downtown alongside the soon to be renewed Johnson Street bridge.